"The best part of my work as a coach was the shift in energy I observed. When individuals had new ideas about what was possible for them and for their teams there was a lift in determination that fueled new actions." 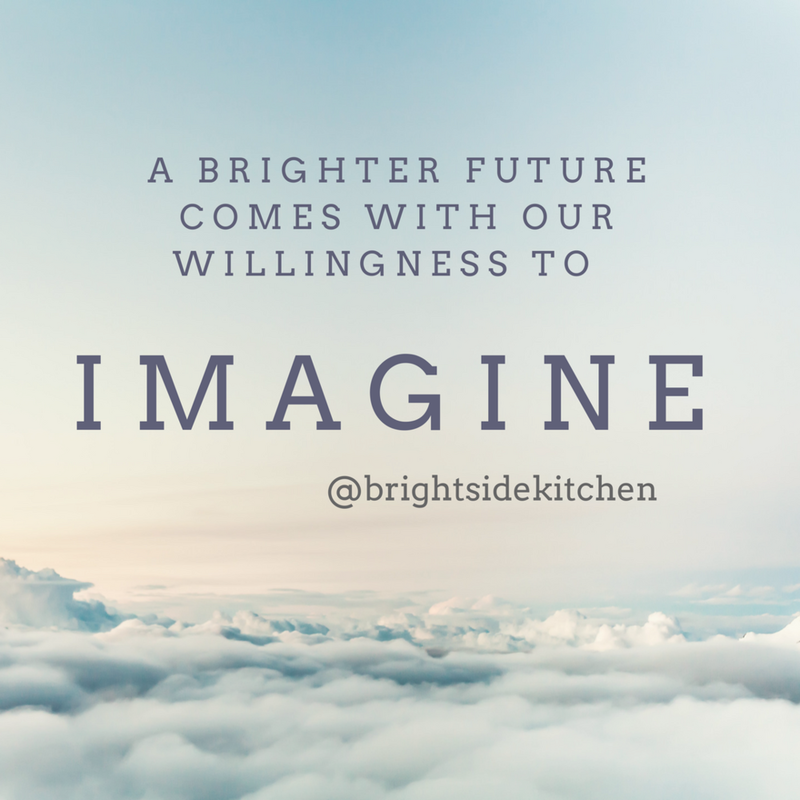 As part of our Brightside Kitchen journey, we write here in this blog as a way to inspire others to consider what is possible for them when they take time to imagine. We imagine a time when we connect with you in person or by social media. We see ourselves with time to listen and encourage you on your journey. Since the cafe will be located in a health and fitness center, we imagine there will be people strolling through on their way to a healthier, more fit 2018. -What is possible for you in 2018?